We have previously shown how Instagram, which is Facebook-owned, operates a similar scheme in How to Beat the Instagram Algorithm Without Actually Cheating. 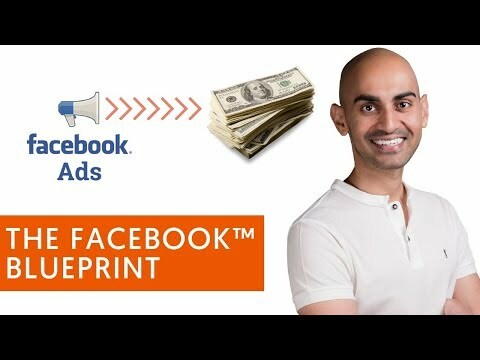 Neil Patel has written a detailed Step-by-Step Guide to Creating a Facebook Sales Funnel. Like most other commentators he emphasizes the importance of building up gradually to a Facebook sale. Many brands struggle to build the numbers necessary to earn money from facebook. In this situation, it is common for firms to turn to influencers for help. Influencers have done the hard graft of building a following. Anybody who is now a Facebook influencer started off a “Facebook nobody.” However, they took the time to establish themselves in a niche, and they have gone through the necessary steps to build authority and trust, and therefore a following. They know that they can join partnerships with brands, spreading the brands’ messages in ways that would otherwise be impossible for the brands. The most essential requirement is that the brand makes a good fit for the influencer’s followers. Influencers can deliver sponsored content to their fans. They may also work more directly by sharing affiliate links. Sometimes influencers can promote products in a more subtle, perhaps humorous way. In the UK The Meat Man, who sells meat to the public and restaurants, paid a UK Facebook influencer Brad Holmes, to make a funny prank video. In the clip, Brad pranks his fiancé into thinking she had ordered 500kg of chicken instead of 5kg – with a £2,000 bill to go with it. The Meat Man’s product sits in clearly labeled boxes in full view throughout the video. This Facebook influencer drove 7 million video views within 48 hours, and also led to newspaper coverage for The Meat Men. As a comparison, The Meat Man’s own Facebook page has only about 10,000 likes and could never have generated as much publicity on its own. Perhaps the best solution for a business is to build up its Facebook page, but at the same time work with influencers to kickstart the process, and give the reach that most brands can’t achieve alone.